Good thread, Sammew. Aside from content, also included in the upcoming patch are several class balance changes and bug fixes. Due to several talent revisions for select classes, druids, paladins, priests, and shaman will have their talent trees reset. Experience required to gain levels 71 through 80 is being reduced by 20%. You'll also get the Cataclysm introductory cinematic and new login screen. The ground trembles beneath your feet and sinister cultists speak of impending doom. Loved ones have gone missing and the appearance of angered elementals only adds to the confusion. What does the future hold for Azeroth's heroes? What fortune awaits within Sayge’s cards? Visit the Darkmoon Faire and shed light on these mysteries. Join the ranks of the Horde or the Alliance by taking the World of Warcraft: Cataclysm personality test. Gain insight into your destiny by answering a series of questions that probe into your inner workings and draw fortune's cards to catch a glimpse of the future. By "Liking" and "Sharing" content on the site, taking the personality test, and submitting original images or videos to our contests, you can help unlock exclusive content for the Horde or Alliance! A new Fan Art has been added to the official site. The dev chat is now over, see the transcript below. We have talked about adding a tabard tab. We've talked about doing a closet tab to handle it. It isn't something we are adding for Cataclysm though. Will you allow players to fill their quest log with say, 25 dailies, and then turn them in right after Midnight on December 7th to get a quick boost towards 85? This is how it worked in the beta, but some players are confused on whether it will work on Live. Thanks! Regarding 25 daily quests to turn in when the expansion goes live, this is something players have been able to do for the last 2 expansions and we aren't talking about changing it now. I understand the decision from an economic perspective but I was wondering if the deveopers were disappointed in the decision to allow race changes immediately following the release of the expansion. Regarding allowing race/faction change on day one. Actually this wasn't an economic decision at all. This was a decision that the leadership team made. Our priority as a dev team is to allow players to play the game with their friends, the way they want too. We also talked about the fact that this is a week one problem. So we made the decision not to restrict anything. Will darnasus be re built to be a real tree or will it always look like a dead stump with trees at the top. A lot of players I know are trying to plan out what characters to roll for the new expansion, and the big question is: Will there be ANY new realms tagging along with the release of Cataclysm? Some point to low pop realms as a reason against, but surely with the redux'd 1-60 experience and the droves of returning players desiring clean slates, there has never been a better time for a fresh realm or two? We haven't decided exactly what the new realm decisions are yet, but we open new realms when there is player demand for them. One thing we can't do is plan all realms for day one. The goal is for realms to have good concurrency so everyone has a great game/matchmaking experience. With the changes to the game environment itself, what new computer requirements will be optimal to run the game smoothly? One of the things that is really important to us is a great gaming experience regardless of your hardware. While the system requirements do go up over time, we do want the experience on slower machines to be great. We do this by trying to add a lot of graphical options to allow players to control the experience from "runs fast" all the way to "looks great". where did Uldum come from? - The idea with Uldum is that it has always been there, cloaked from the eyes of the players. The emergence of Deathwing has damaged some of the technology that kept it hidden. There is a story in the zone that explains this and what has been happening in the player absence. Why is it that we are not able to use Archeaology before the exspansion? I thought it was really cool how you guys released Inscription last time and would love to have the opportunity to level it before the exspansion drops. Using archeology before the expansion was something we talked about, but ended up adding everything about the profession to the "post sundered" world. Thus, you won't be able to use archeology before the sundering happens. What happened with the Worgen district in Stormwind? We decided it didn't really fit very well, it was looking kind of awkwardly forced into the city. Plus deathwing would have destroyed it anwyays. What would you say was the hardest and/or easiest parts of developing this expansion? After all, many are saying this is the best expansion to date... So, what was the biggest challenge/easiest feat in creating it? There have been huge challanges with this expansion, unlike any we've seen in the other two expansions. The scale of Cataclyms is huge for us, and something we didn't really expect when we started development. But we certainly feel like the effort has been worth it, and feel it's our best expansion so far. Will you allow players to change their login screen? I'd love to be able to use the Classic login screen, the unreleased one that was shown at Blizzcon, or perhaps a login screen of a previous expansion. Players are not able to change their login screen. Will the option ever be available to change ones class, contingent upon what's currently available to the race restrictions at the time? Never say never, but we don't currently have plans to do that. Well... there is the dance studio. ;] There are of course always things we'd hoped to get into any patch/expansion that get pushed out until later. One example would be the idea to have a built-in atlas that details every encounter in each dungeon/raid. We're not super happy about the fact that the first time anyone encounters a new boss, the only way to learn about it (other than looking up strategies on the web) is to charge in and die a lot. When designing expansions and content patches, do you have a list of new features to choose from that are planned out in advance or is there more of a brain storm session? The primary things you won't be able to do if you don't have Cataclysm are create a new Goblin/Worgen, level to 85, and fly in the orld world. WIth the previous two expansions, the new content was actually on other continents, so if you didn't have the expansion, you just couldn't visit the continent. 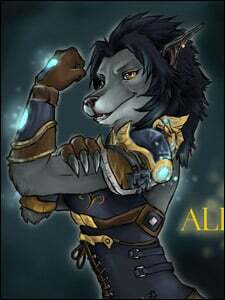 Since Cata is largely reworking of old-world content, however, how do you differentiate between someone with or without the xpac? What kinds of things will and won't be available to players don't have the upgrade? Will the 80 to 85 experience be closer to the 18hr mark or the 5 day mark that was 70-80? That totally depends on the player to be honest, you'd be amazed by the differences in play patterns. That being said, somebody usually finds a way to level up very quickly. What new feature(s) in WoW: Cataclysm are you guys most proud of? I would have to say the 1-60 revamp, it's a ton of fun to play through the zones and an incredible amount of new content. I'm most happy with the new Worgen and Goblin starting experiences. I think they are the best starting experience we've ever done, and that includes the death knight. i have is why not have this latest expansion as a new territory like a Southrend similar to Northrend or a Moon body like Outlands instead of destroying Azeroth and Kalimdor? Were there limitations to expanding outwards or was this just to facelift the original game? We make decisions like this on a case by case basis.. again depending on the needs of the game. In the case of Cataclysm, the world was due in for an overhaul, and we wanted to make everything fly-able, so it was important to flesh out any areas that were originally unfinished. Worgen can ride the other mounts in the game, if that's what you're asking. They're not limited to their feral run. Will it be as long of a wait to fight Deathwing as it was for Lich King? Could you comment on the plan for raids in cataclysm? If i remember it was said that there would be smaller raids in cata but more of them. Would that mean like two small raids per patch or more patches in total? The idea is that we'll have more raid environments, but fewer bosses in each environment, but a similar total number of raid bosses overall... if that makes sense. =] so, for cataclysm launch we have the skywall environment, the twilight bastion environment, and blackwing descent, versus having almost all the bosses in one environment like we did with naxrammas. The first tier of Cataclysm raiding has 3 seperate instances to tackle. Are you guys planning on keeping with the Burning Crusade model (SSC/TK, BT/Hyjal) and having multiple instances per raid tier? Will Deathwing have to share the spotlight with some other instance? I have been confused from the different posts for tier gear. Will there be three levels within each tier still or just heroic and normal and in either case will u just be getting them with points or will u still have to get certain things off drops off certain bosses to get the higher more heroic version of the tier gear? This is a common request, but not something we are looking to do. 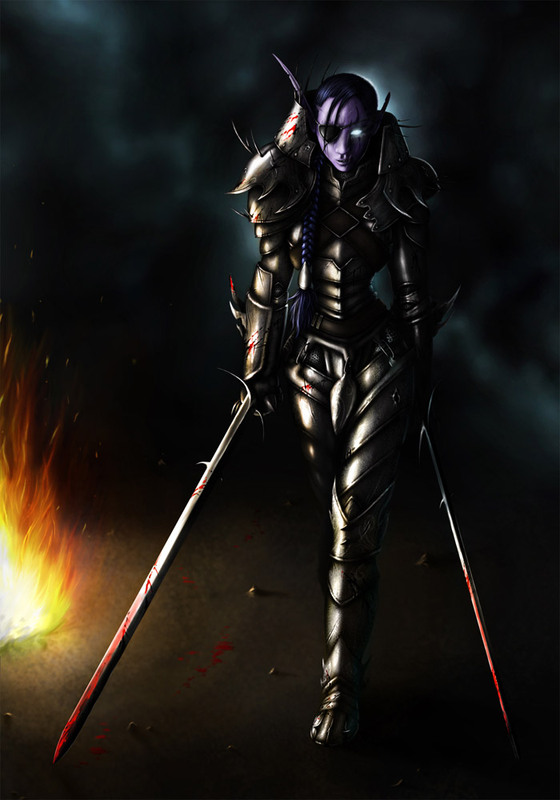 While there is a singular main bad guy in this expansion, the Horde and Alliance have their own unique challenges and agendas, and typically don't look to team up. After all it's the World of Warcraft, not the World of Peacecraft. Can you clarify and confirm what will be available to players when 4.0.3a hits and what will be unavailable until 7th Dec? 4.0.3a will be the patch that actually causes the world to shatter and change forever. At that point you will be able to experience the new 1-60 leveling experience, as well as the new race/class combinations. There's any through about making account wise achievement, like starcraft ones? It a reason for many players to not reroll/change mains since its look like a lot of work wasted when you switch your main char. Even changing to another char to help with one fight look a bit wrong now, if you are after achievements. We do have plans to solve this problem, as it is limiting people from re-rolling for sure. This is something we want to solve, but don't have a good solution on how to do it at the moment. Will achievment points ever be able to be used to purchase any perks? We have no plans to allow this. Achievements are a badge of honor only. Will the heirloom items scale to 85? The current plan is to have heirloom items stop at level 80 at the moment. I was wondering what new and exciting mounts there will be and what your favorite so far is? Not surprisingly there are all kinds of new mounts, we have spectral wolf/horse mounts, a dark phoenix, a camel, the new alchemy mount that turns you into a drake can ride, among others. Also a scorpion for the horde and a lion for the alliance. My favorite has to be the camel though... i mean really, who doesn't want to be a camel jockey?! Will there be more than one Legendary weapon in Cata? Will there be a Caster DPS legendary? Any info or plans would be awesome =) Thanks! It's likely there will be more than one legendary weapon, although it's too early to say for sure. We do, however, have a plan to do a caster dps staff soon. With the level 1-80 Heirloom items, when Cataclysm is released will the xp gain work while leveling until you hit level 81? Or will XP gain be disabled for those on release? They will not. Heirlooms stop granting their XP bonus at level 80. Not level 80.999999. When riding a scorpion mount, your character displays holding a large standard with your guild symbol on it. Why did you decide to make 310% mount speed purchasable in 4.0? 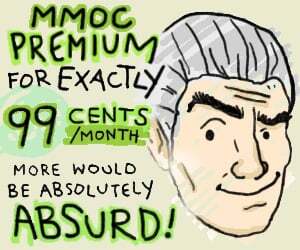 It's a huge price for such a tiny speed upgrade, and used to work well as a just-above-vanity perk for people who completed the toughest achievements. The primary reason was to equalize the awesome vanity mounts players had, and change the mechanic to one where you used the mount you were most excited about using. We wanted players to be able to see the mount players want, without considering the speed differential as a factor. How would a person get a Guild Mount? Would it be guild rep? If so how would that be calculated or obtained? 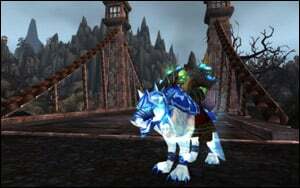 Once your guild gets to a high enough level and unlocks the guild mount, any player in the guild with a high enough guild reputation is able to buy the mount. Will heirloom items work for goblins and worgens leveling from 1-80 at release? Heirloom items will work perfectly for Worgen and Goblin characters! Enjoy! Has there been any discussion of changing the heirloom items to true "Bind on Account" instead of the bind on server limitation that it has currently?. That is something we would like to do. Currently the servers mail carriers refuse to work together, and haven't worked out the economic terms from transferring mail from one server to another. One day we hope to resolve the union issues. Do honor points and Badges roll over into CATA, or do they reset to zero? Yes, honor points and justice points carry over into cataclysm. Stock up now! Do you feel faction imbalance is a problem at the moment? My queue is around 10-15 min at prime time as a member of the Horde and I know this is the case on at least two of the battlegroups. If so, do you think Worgen will fix the problem? And if they do not, will free faction changes ever be a possibility in the future on battlegroups or servers with a major problem? We are working on some technology to further combine the PVP queues at server sites. This has been going on behind the scenes for a few weeks now in preparation for Cataclysm. Queue time is one of those things that gets a lot of attention and time, but will change significantly post Cata. Really good question. Are there any plans to potentially add queueing to the rated battlegrounds instead of it having to be a pre-made raid team? I was really excited when I first heard about this feature, but after reading the FAQ i was a bit disappointed with that design. With resource systems now broadened to include focus, rage, energy, and runic power as well as mana, and there being conditionals like enrages, holy power, combo points and runes, will classes that just use mana be getting similar treatment or remaining as they are? Really that decision is made on a class-by-class, talent tree-by-tree basis. If we feel like the talent spec in question needs a broader resource management then we do it, but we don't like to unnecessarily complicate a spec's resource management if it isn't absolutely necessary. As the world of Azeroth is changing I was wondering if the Death Knight zone will stay the same or will it also be affected by the cataclysm? The death knight zone doesn't have any changes for Cataclysm. Is the Moonkin form for troll and worgen on the beta and ptr the final form or is it just a placeholder? Right now, up to 50% of Ignite damage disappears due to the technical limitations of spells critting within certain timeframes. This has implications for Mage dps and the value of Mastery as a stat. Is overall damage being balanced to compensate and can we expect a solution in the near future? Are there any plans for a new Lock mount? I would love to see a possible flying mount for Locks..
One of the things we look at with mounts is broad appeal. 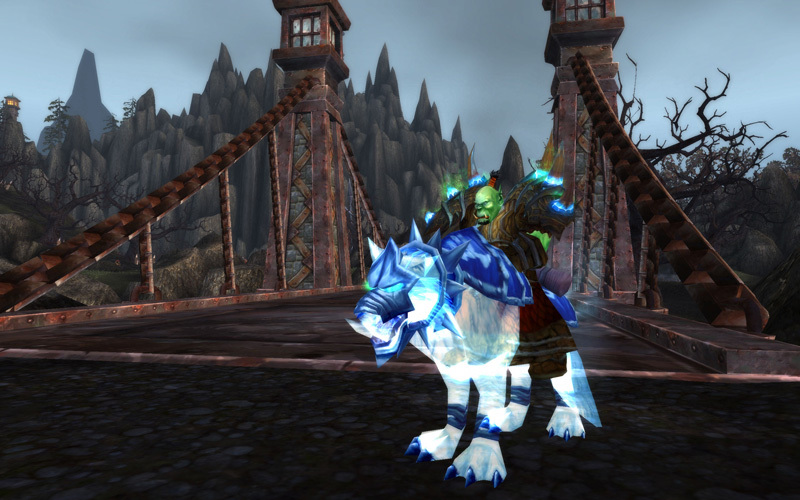 While we do specific class mounts from time to time, most of the time we look to have mounts that all classes can use. With the expansion getting closer, expect a lot of similar updates to Cataclysm articles in the next few days. In patch 4.0.3, Wintergrasp queuing was changed so that each battle attempts to match the factions at a 1-to-1 ratio. This is the exact system being used for Tol Barad in Cataclysm. While we understand that this inflates queue times for factions which are vastly overpopulated on select realms, we prefer this system over using Tenacity. In addition, the new system at least encourages playing on a faction that's better balanced against the opposing faction. 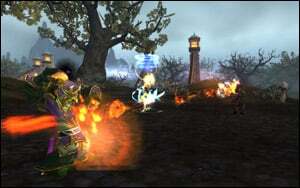 With the old Wintergrasp functionality, players were almost encouraged to be on an overpopulated faction, further contributing to realm balance issues. The Rated Battlegrounds FAQ has been updated to what seems to be a final version. 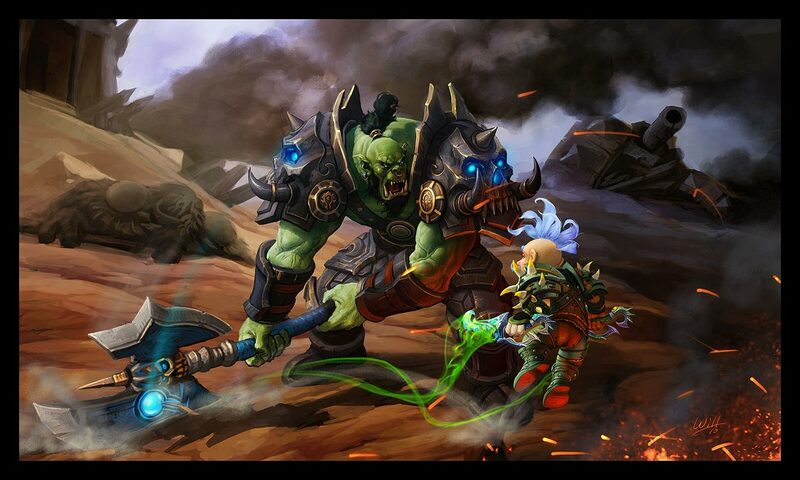 World of Warcraft: Cataclysm is just around the corner -- and that means Rated Battlegrounds will soon be available. While Rated Battlegrounds will only be open to level-85 characters, we know many of you may still have some questions about this new system, so we’ve put together an FAQ to help address some of the more common inquiries we've seen. Q. What are Rated Battlegrounds? A. 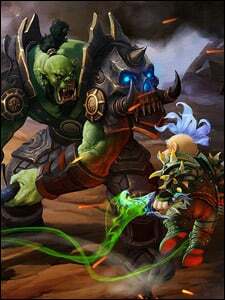 Like the Arena system, Rated Battlegrounds are an alternative way for players to battle against opponents of similar skill levels and accrue rating to purchase powerful PvP gear. Instead of competing in a 2v2, 3v3, or 5v5 bracket, though, you'll be testing your mettle in familiar environments like Arathi Basin and Eye of the Storm, as well as all-new Battlegrounds set to release in Cataclysm. Q. How are Rated Battlegrounds structured? A. Rated Battlegrounds are broken down into two brackets: 10v10 and 15v15. These brackets rotate weekly and can be viewed in-game via the calendar by activating the Battleground holiday filter. Q. What Battlegrounds are eligible for Rated Battleground matches? A. Warsong Gulch, Arathi Basin, Eye of the Storm, Strand of the Ancients, Battle for Gilneas, and Twin Peaks. Q. What happened to the 25v25 bracket? A. We decided to remove this bracket. We don't feel it's feasible to ask players to coordinate a group of 25 players for Rated Battlegrounds. If any player happens to drop group just before a match begins, the raid group would not be able to enter the battle. We anticipate most players or guilds will stick with fairly dedicated 10-player groups, and making the jump to 15-player groups shouldn't be too difficult. Q. How can I queue for a Rated Battleground? A. Before entering the queue, you must first create a raid with the full number of players required for the weekly bracket (10 or 15). Any level-85 player on your realm and of your faction may participate in the battle regardless of guild association. Once you have a raid of the appropriate size, simply open up the PvP window, click on the Conquest tab, highlight "Rated Battleground," and then click "Join Battle." Q. Can I queue up solo and just be matched with a Rated Battleground team? A. No. You will need to first join a raid of the appropriate size and level before you can queue up for a Rated Battleground. Individual queuing will not be available for Rated Battlegrounds. Q. Do all players in the raid group have to be from the same guild in order to queue for a Rated Battleground? A. No. So long as the raid group size matches the weekly bracket and is comprised of level-85 players, you can queue up for a Rated Battleground no matter what guild you are in. Guild membership has no effect on the formation of Battleground teams. 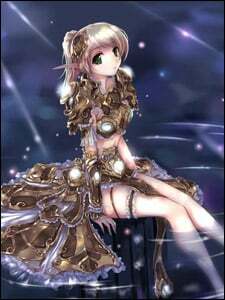 Winning a Rated Battleground with a team composed of at least 80% guild members, however, will result in the additional benefit of guild experience gain for that guild. Q. How can I tell if my Rated Battleground team meets the minimum guild requirement? A. If you join a Rated Battleground with the minimum number of required guild members, a special guild banner will appear in the upper-left corner of the in-game mini-map. This will let you know if you are eligible for the bonus guild experience. Q. What are the normal benefits of winning a Rated Battleground? A. When you win a Rated Battleground, you will be rewarded Conquest points, up to your weekly cap. Weekly caps are individual for each player and are based on your highest single PvP rating from the previous week (the cap resets on Tuesdays). This rating can be derived from your 2v2, 3v3, or 5v5 Arena rating or your Rated Battleground rating. Q. What Rated Battleground rating do players start out with? A. Players start at zero Rated Battleground rating and progress upward from there. If you lose a battle, your Rated Battleground rating will only be reduced if that rating is currently higher than your Match Making Value (MMV). For the most part, a rating only goes up. A. Match Making Value (or MMV for short) is our best measure of an individual player's skill. MMV is the skill rating per format (2v2, 3v3, 5v5, Battleground) and per character that is used for matchmaking. It exists to help the matchmaking system create great matches as quickly as possible for all players. It's generally not a rating we show, with the exception of an average MMV for Arena teams. Q. Will my MMV go down in the event of a Rated Battleground loss? A. Yes; however, unlike Arenas, all players in a Rated Battleground team will win or lose the same amount of Rated Battleground rating per match depending on its outcome. Q. Does MMV for Rated Battlegrounds function the same as it does in Arenas (i.e. does it go up more when you beat a higher-rated team, and go down more when you lose to a lower-rated team)? A. Yes. Your MMV will go up faster if you defeat a Rated Battleground team with a higher average MMV. Q. What’s the plan to prevent your Rated Battleground rating from skyrocketing at high win ratios? If your rating only goes down when it is above your MMV, it seems that ratings will just be high on average (compared to Arena). A. If your Rated Battleground rating gets inflated much beyond your MMV, you’ll only receive a minimal amount of points when you win. Similarly, you’ll lose many more points after a defeat, until your Rated Battleground rating gets back in line with your MMV. This will prevent inflation. Q. Can consumables and engineering items be used in Rated Battlegrounds? A.Yes, but they will follow the same rules and restrictions as Arenas. Q. Will Rated Battleground teams only be matched against other teams in their Battlegroup? A. No. Rated Battlegrounds will be region-wide, meaning that when you queue for a Rated Battleground, you will have the opportunity to be matched against a team from any of our North American World of Warcraft realms. Q. Are there any plans to reward players with the highest Rated Battleground rating, similar to Arenas? A. Epic ground mounts will be rewarded at the end of each season to the top 0.5% of players according to Rated Battleground rating. Titles are also available as you gain rating in the system. The titles are rewarded directly from achievements earned from gaining the required rating. 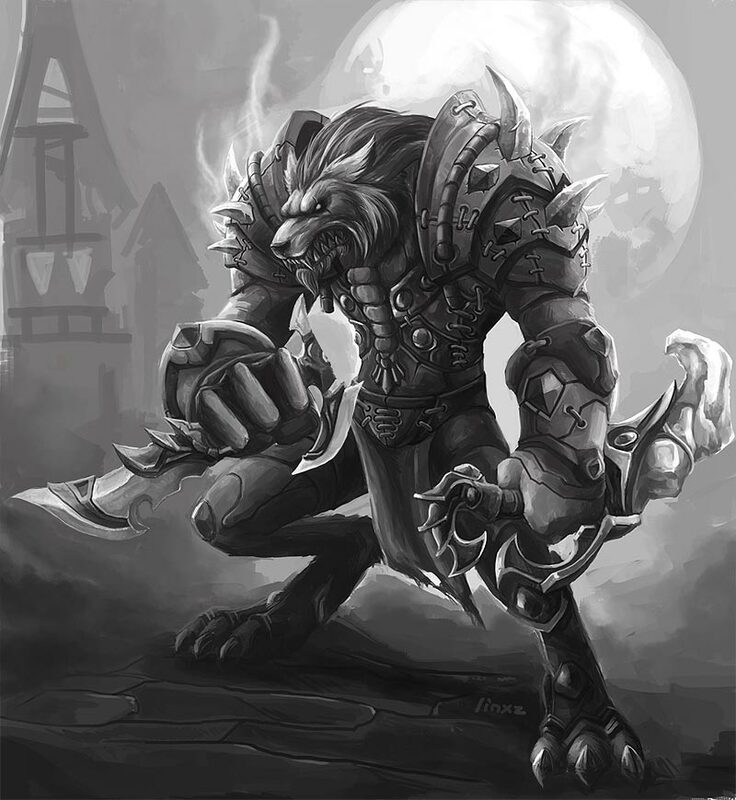 The Blizzard Fan Art Section has been updated with 4 new Fan Arts. The shattering happened on PTR 4.0.3, the login screen is the one shipped with Cataclysm and the world is changed forever! This build is already tagged as (Release), if there isn't any major bug you can totally expect patch 4.0.3a on live servers next week. Blood Fury now increases attack power by 1170 at level 85. Up from 342. Blood Fury now increases spell power by 585 at level 85. Up from 173. Death Strike now heals you for 25% (down from 30%) of the damage sustained during the preceding 5 sec, minimum of at least 7% (down from 10%) of your maximum health. Rune Tap now heals you for 10% of your maximum health, down from 15%. Divine Storm now causes 80% weapon damage, up from 60%. 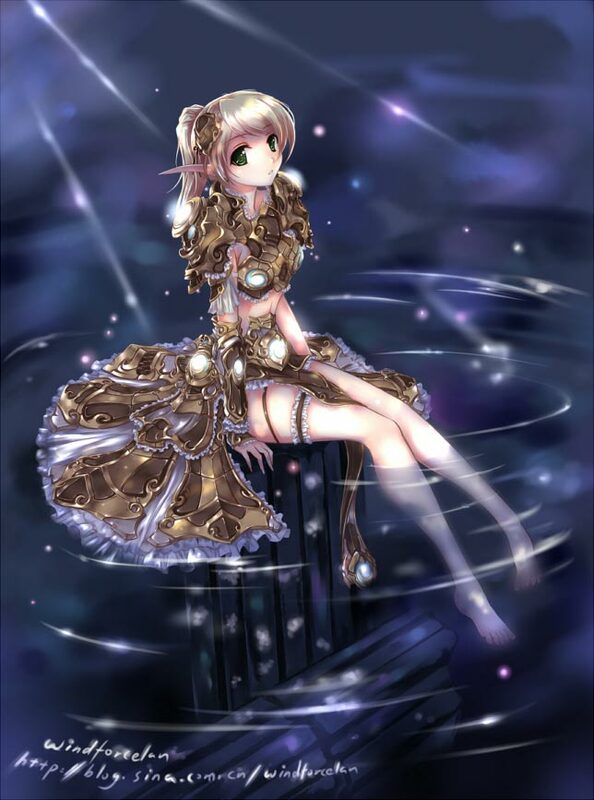 Healing Rain base healing has been increased by 100%, from [ 345 - 410 ] to [ 690 - 820 ]. An island off the coast of the Eastern Kingdoms, Tol Barad is a historic land now sought-after by the leaders of the Horde and the Alliance. Its strategic, isolated location makes it an ideal stronghold from which to conduct military strikes. 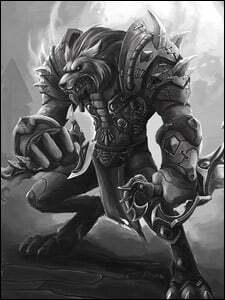 In World of Warcraft: Cataclysm, a battle will be waged to seize control of this prized territory. Should you triumph, unique rewards await you. Read more about this all-new world PvP and questing zone here. 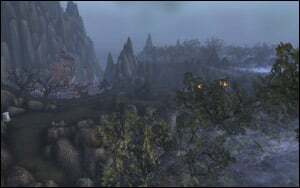 Similar to Wintergrasp, Tol Barad will serve as an open world PvP zone, although there is also a hub on Tol Barad Peninsula for both factions to complete daily quests. 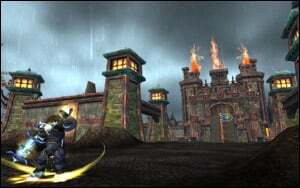 Reachable by portals in Stormwind and Orgrimmar, or via a level-85 mage teleport or portal, Tol Barad will accept up to 80 players per faction to engage in brutal combat across the island's surface. 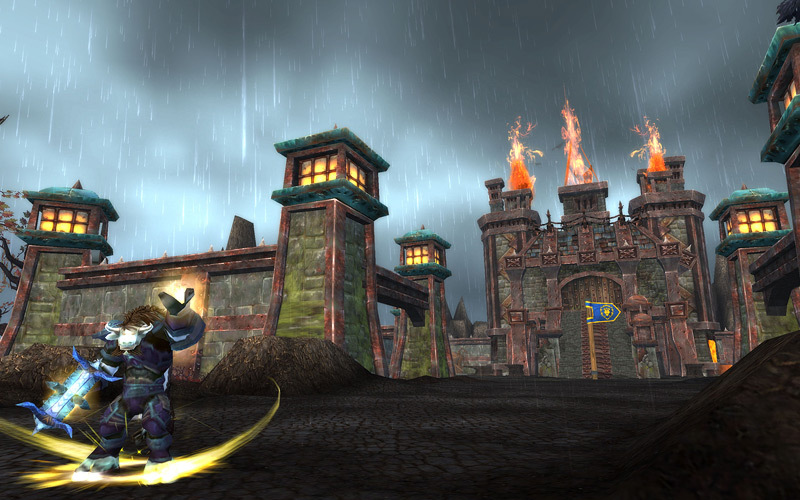 Unlike Wintergrasp, Tol Barad will not have Tenacity buffs. Instead, the queue system will attempt to match each side at a 1-to-1 ratio. Battles will take place every two hours and thirty minutes, giving the offensive faction a chance to claim territory. 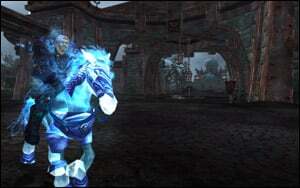 Tol Barad will feature capture-point gameplay. There are three keeps and three towers for the defending side to hold. When destroyed by the attackers, each tower will add five minutes to the standard fifteen-minute battle timer. In order to win, though, all three keeps must be captured and controlled by the attackers. If these keeps cannot be taken by the attacking forces, the defending faction will claim victory in Tol Barad. 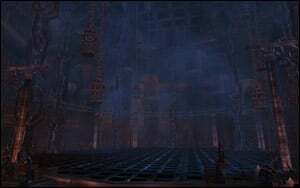 Similar to Eye of the Storm, Tol Barad determines whether a keep has been captured by the number of players from each side in the immediate area. There is, however, a new twist: each time a member of your faction is killed in the immediate vicinity of a keep, a slider bar will move slightly in favor of the opposing faction. So not only does the size of each force in the area determine who controls each keep, but losing allies during the contesting process determines control as well. In order to destroy the defenders' towers, attackers will have access to an all-new type of war machine: Abandoned Siege Engines. Six of these Siege Engines will be placed around the map, and these vehicles can be used to bombard the towers. In contrast to the Siege Engines of Wintergrasp, these machines cannot attack players or buildings while the vehicles are being driven. Instead, players must drive them within range of a tower and jump out, allowing the vehicle to transform into an automated cannon that can lay siege to the tower. The Abandoned Siege Engine will continue to damage the closest tower in range until the machine is destroyed by opposing forces. Players who win the battle for Tol Barad will be awarded honor points in addition to Tol Barad commendations. These commendations can be used along with new reputations as currency with special vendors who sell rare and epic items, mounts, and more. In addition, the controlling faction will have unique access to extra daily quests. 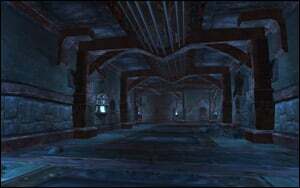 Similar to the Vault of Archavon, Tol Barad gives those who control it the chance to form a raid and best foul beasts locked within Baradin Hold for precious rewards. Aside from the battle to control Tol Barad, there are many quests available to both factions just off of the main island on Tol Barad Peninsula. 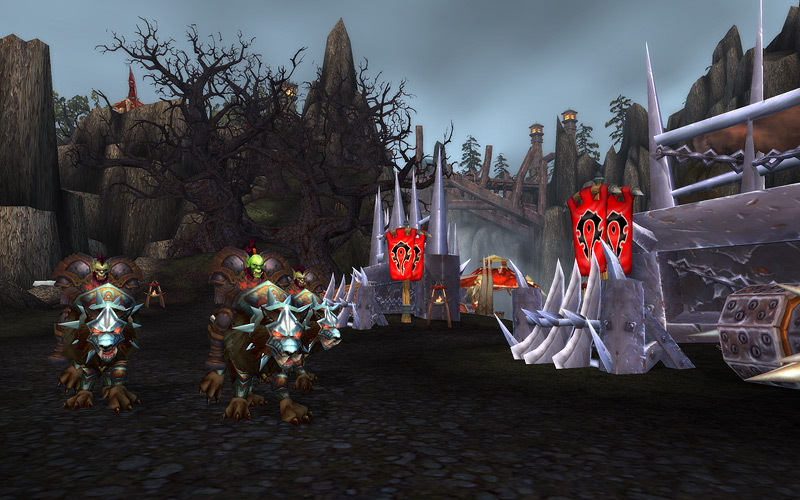 Members of the Horde will assist Hellscream's Reach, an all-new faction vying for control of Tol Barad. 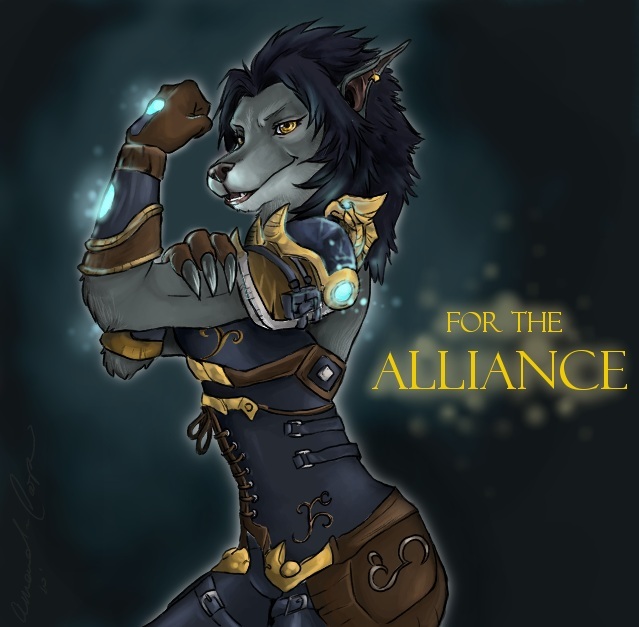 At odds with the Horde are Baradin's Wardens, an Alliance faction also seeking to command the territory. Six unique quests, randomly determined from a larger pool of missions, will be offered daily. This will allow for diversity in completing quest objectives as you explore Tol Barad Peninsula over time. 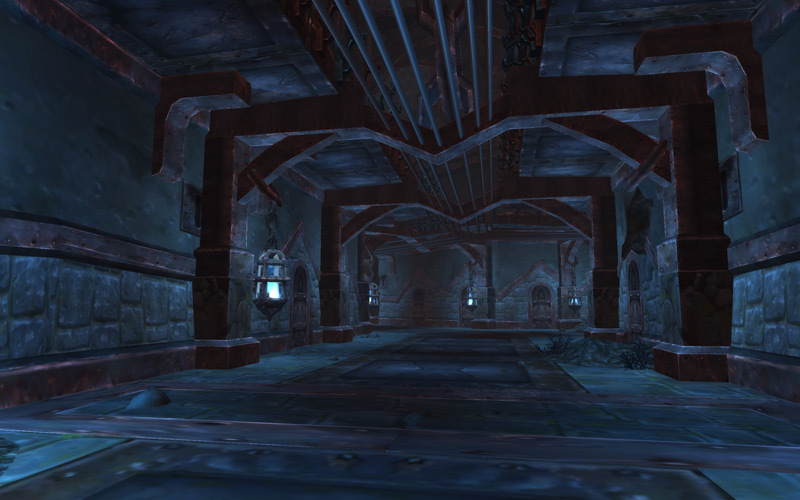 The faction that controls Tol Barad will also have sole access to six additional daily quests. Completing each of these exclusive quests will award experience, gold, and Tol Barad commendations. By accomplishing these tasks, players will learn of the perilous inmates held within the prison on Tol Barad, as well as why this isolated land is of great importance to Hellscream's Reach and Baradin's Wardens. In addition, increasing reputation with these new factions will grant access to incredible rewards. With so much at stake in the wake of the Cataclysm, Tol Barad will be fiercely sought-after by the Horde and the Alliance, but it's up to you to help determine which side makes this island the next great military port of the Eastern Kingdoms. World of Warcraft’s 6th Anniversary! World of Warcraft turns six on November 23rd, 2010! It’s been a truly incredible six years, and we’d like to thank you all for joining us on this momentous occasion. To celebrate, players that log into the game between the dates of November 30th and December 14th will receive a feat of strength added to their Achievements. We look forward to another great year ahead and many more to come! We don't want the expectation to be that the reason you come to the forums is to get a blue post. I tend to confine my posting to the three role forums. I read the PvP one, professions, dungeons and raids, UI, achievements, bug reports and a few others every day or two, and even if I don't regularly read a forum, rest assured that many folks at Blizzard do. Consider for example that I don't read forums posted in languages other than English (you'd think with the number of years I spent in school that I could have picked up something as practical as a second language), yet somehow that feedback still gets back to us. While forum communication has advantages, such as quick turn around and the ability to have a fairly intimate conversation with developers, it has disadvantages too. We often lose the context of a conversation when folks read only the blue response, then jump in to a thread without reading it all. Many times the blue post detracts from an excellent conversation already taking place. Blue posts are famous for derailing conversations. Smart players in parts of Europe, Asia or Latin America get to participate in the conversations only indirectly. It drives me nuts that players sometimes assume only the threads (or forums!) with blue responses are the ones that get read. Finally, I think knowing that there is a small chance that a forum will get a dev response spurs some players into saying ridiculous things in the hopes of "winning the lottery." We think these forums work best when they are 99% defined by players communicating with other players. With the new community site going live, it gives us an opportunity to try some things differently. I still plan on communicating with players as much as I can -- it is very important to me personally and I think it's a critical part of my job to get feedback on World of Warcraft's design. However, we're going to try some different avenues for communication in addition or perhaps in place of frequent developer forum posts. A new fan wallpaper has been added to the official site.